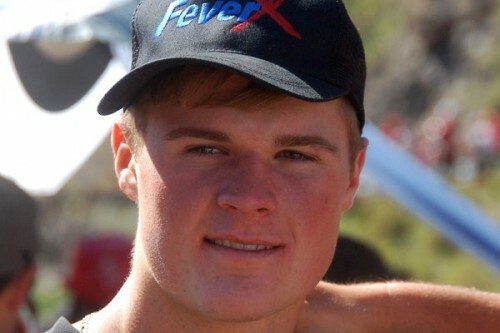 Wade Young (16) made history on Saturday (17 November) when he became the youngest competitor ever to win the Roof of Africa enduro motorcycle race that took place for the 45th time in the Mountain Kingdom of Lesotho. 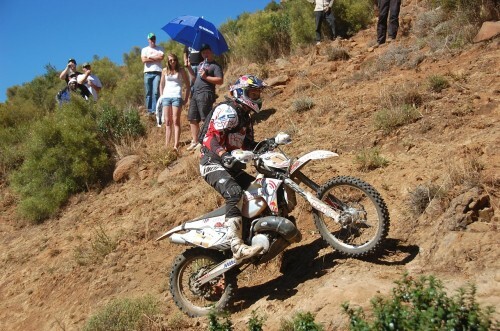 It was also the first time since 2007 that a South African rider wins this gruelling three day event that consisted of about 490 kilometres this year,Extremely hot weather conditions caused many competitors to dehydrate while a challenging route confirmed the 2012 Roof of Africa enduro as one of the toughest in recent years. 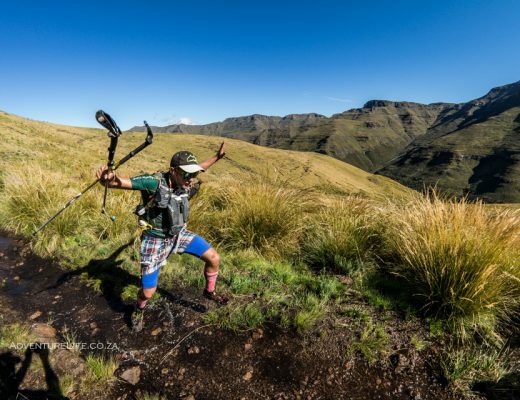 Regular Roof of Africa competitor, De Wet (27 years old) started the final day from third position, 26 seconds behind Jarvis, but overtook the UK extreme enduro expert, who experienced problems with his Global Positioning System (GPS) early in the day. Jarvis had to settle for third place, but vowed to be back to try and reclaim the title. De Wet’s team-mate, Darryl Curtis, a former winner who competed in his 21st Roof of Africa and admitted that he would have liked to be even better prepared for the event as the preparation and testing for the 2013 Dakar Rally demanded a lot of his time, was ecstatic with his fourth place. Another team-mate, Louwrens Mahoney, struggled with two problematic GPS’s, but managed to finish eighth while Riaan van Niekerk was ninth. 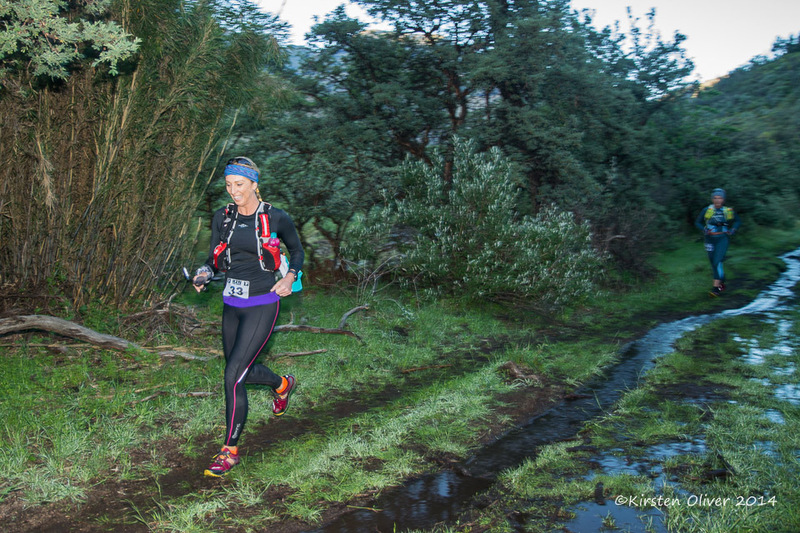 Torlage, who suffered from an injured thumb since early Friday, fought back from ninth place on Friday to finish fifth. He was just ahead of this team-mate, Kenny Gilbert, who competed in his ninth Roof of Africa. After racing for three days and 450 kilometres in the mountains of Lesotho where one can hardly walk, Gilbert beat local Ladybrand rider, Wynand Badenhorst (Nomadik Tents KTM) by a mere eight seconds! The Ladybrand rider was still recovering from torn ligaments in his knee, but was a popular rider to follow as he knows his way around in the mountains. Three times Roof of Africa winner, the Kiwi Chris Birch (Comsol BELL ACR KTM) had a disappointing event and suffered from dehydration. He was fifth overall at the end of Friday and although he was feeling better on the final day, he was still weak from being violently ill the previous day. He had to settle for 10th place overall. His team-mate, Scott Bouverie, lost time during Friday, but enjoyed the challenging route on Saturday to finish 11th, only 42 seconds ahead of fellow KwaZulu-Natal rider, Brad van Aswegen (Kargo Racing Yamaha). Van Aswegen crashed hard on Saturday and dislocated his knee. It popped back and he soldiered on albeit in pain. His team-mates, Mark Garland, had to make up for lost time on Saturday as he was also sick during Friday’s racing section, but he managed an 18th place while the scholar, Timmy Young, finished his first Roof of Africa in 20th place. Van Aswegen was followed by the UK trials champion, Ben Hemingway (cc Gallery KTM) for who the pace at the slowest and most technical sections was still quite fast as they are trials-riding specialists. It was the second Roof of Africa experience for the Hemingway brothers from the UK (his brother, Dan, finished 17th) and they promised to do so again. 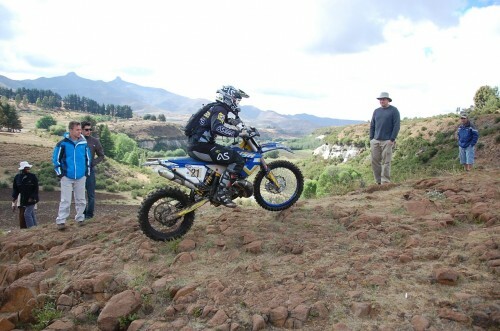 Another regular in Lesotho, the German Andreas “Letti” Lettenbichler (Husqvarna) had to get used to the set-up of his brand new bike and suffered a few small technical problems with the fuel-line on the bike. He was 14th. Team Liquorland Yamaha racing’s James Hodson finished 15th – his team-mate, William Gillit was 19th – while Shannon Frost (FDBR Racing Yamaha) was 16th. Forty-four of the 94 entrants in the PRO Class completed the event. That includes Andy Noakley (Rocket Centre KTM) from Manchester (UK) who was 29th while Martin Freinademetz (KTM), who is involved in the organisation of the popular Red Bull Romaniacs extreme enduro event in Romania, finished 43rd. The Expert Class for competitors who had to complete about 75% of the full race distance, was won by Gary Barton (BELL Equipment/LCS Yamaha) followed by Faan van Deventer (Pa Ma Racing Yamaha) with Stephen Landman (Liquorland Yamaha) who rounded off the podium. Peter Jung (Wildcoast KTM / Umso Ribco) won the Intermediate Class (half distance). He was followed by Craig McGregor (KTM) and Charl Weyer (KTM). Lady rider, Toni Jardine (RAD Moto KTM) completed the Expert Class – she finished in the Intermediate Class in 2011).